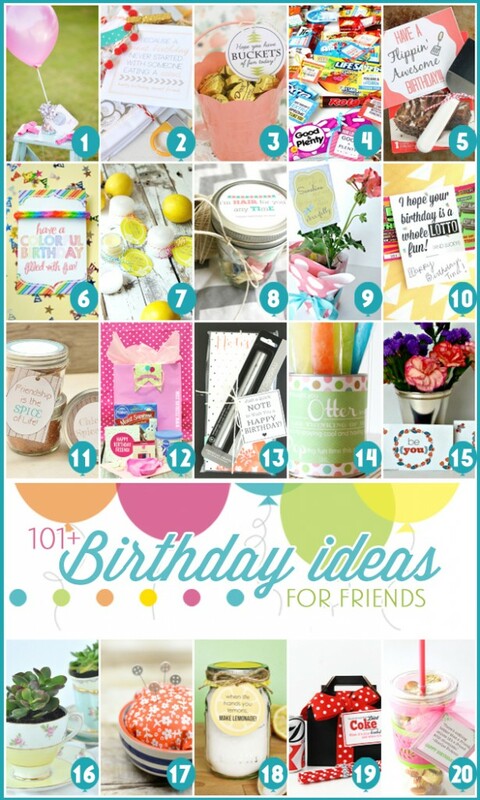 I’m excited to share today 101+ Birthday Gift Ideas for your Friends, including the Birthday Balloon + printable gift idea I’ve prepared. 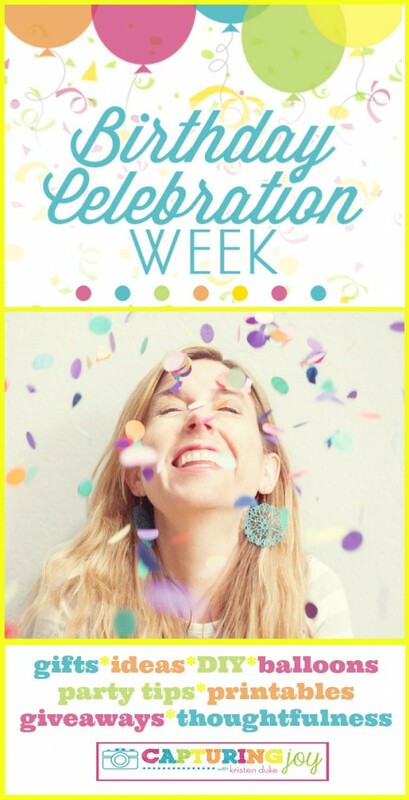 It’s my Birthday Celebration Week, and along with over 100 talented bloggers we are sharing lots of inexpensive ideas and free printables! 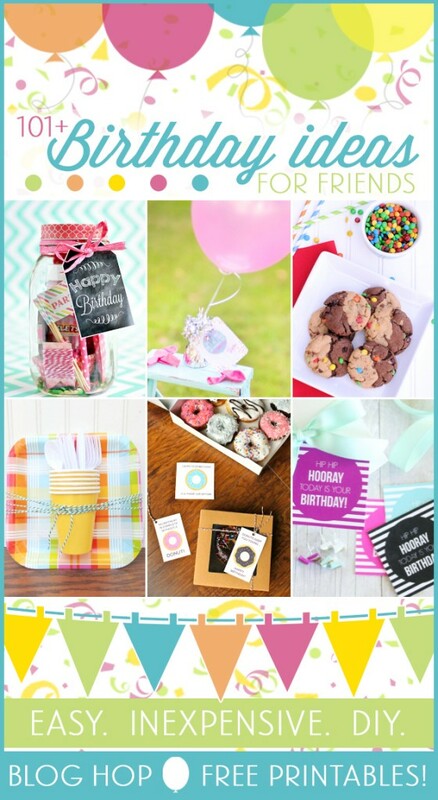 If you haven’t seen already I’m sharing birthday tips and giveaways all week long such as Birthday Photo Booth Props, a Yearly Calendar printable to remember important birthdays, and more the rest of the week, so be sure to check out the Party. 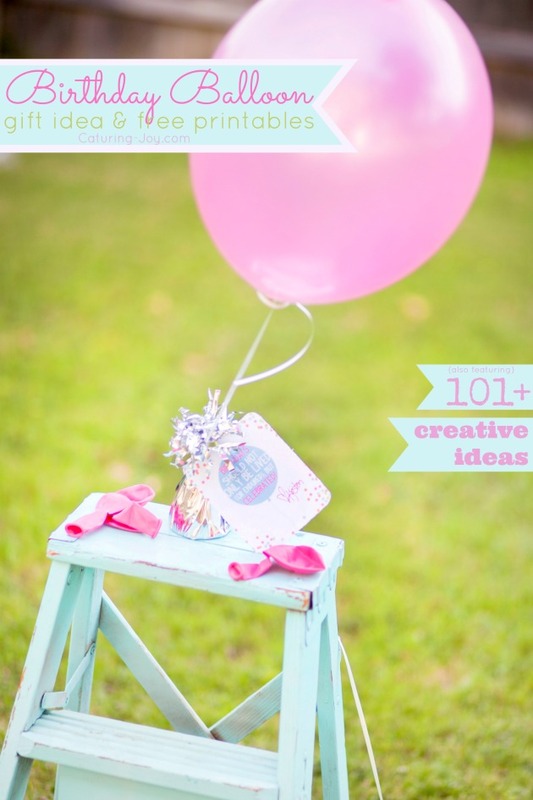 Since I love balloons on birthdays, I’m sharing an easy balloon gift idea. You can plan ahead, and buy a helium tank and balloons to keep on hand at home, or run by a dollar store on your errands when prepping a gift for a friend. 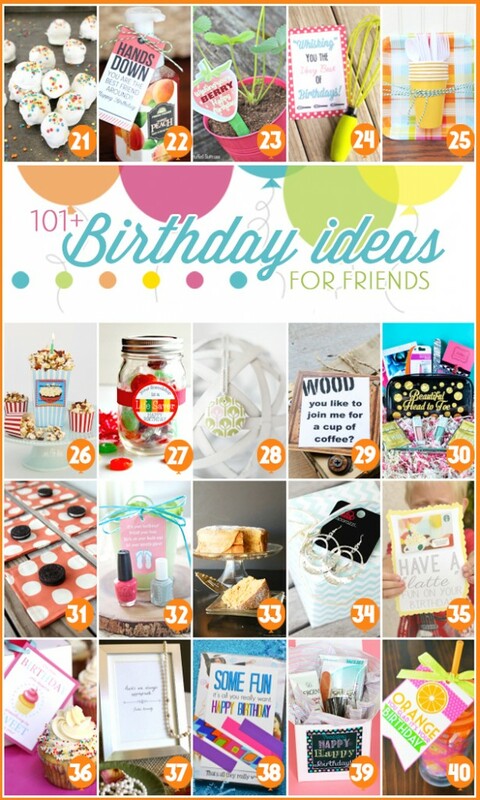 As for the other creative ideas, a lot of these gifts are versatile for any occasion, and can be a gift to your friends, family, or even that gal that you’d like to get to know better. 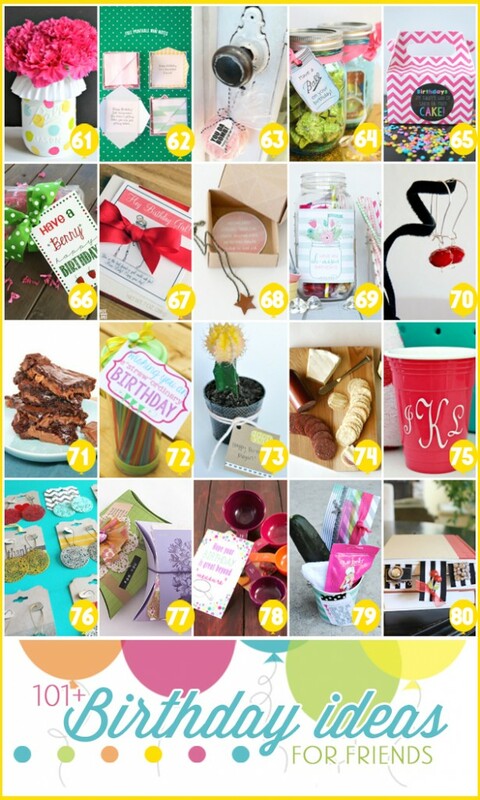 Even more fabulous–most gifts are under $5, and have coordinating printables to make it super simple! 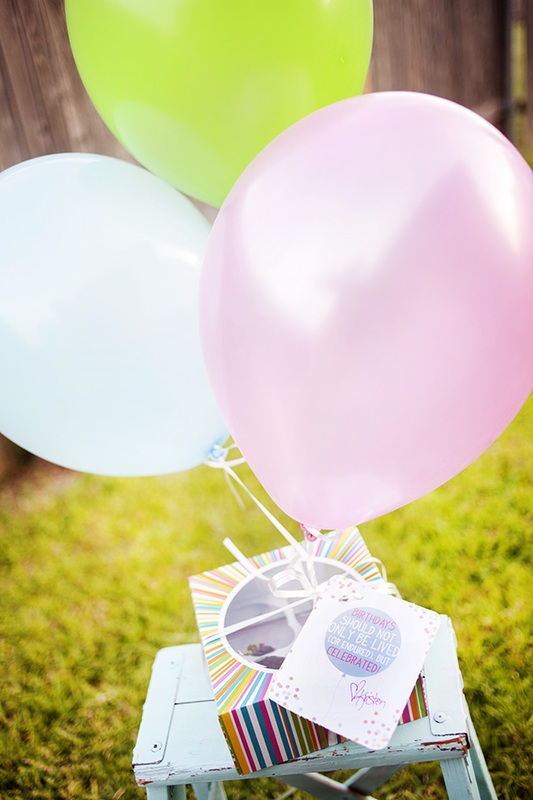 I’m sharing a balloon gift because I love balloons, they can make any event turn HAPPY! 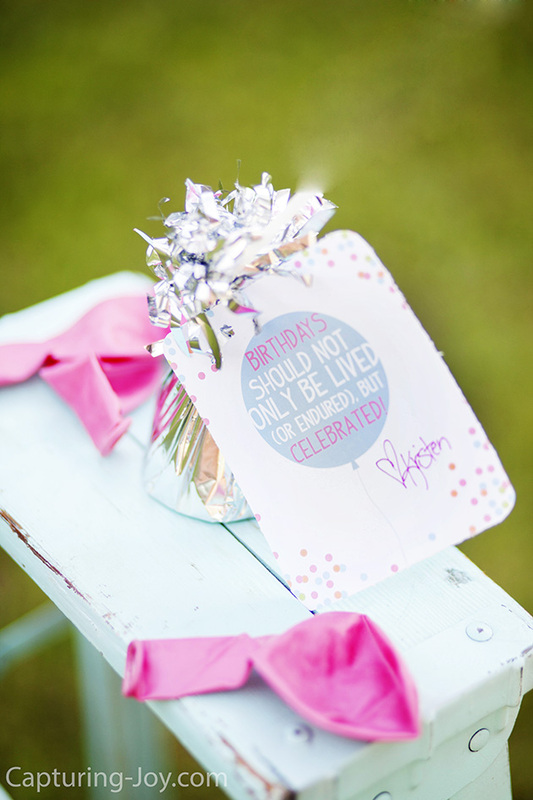 This balloon gift tag can be added onto any item such as a box of cookies, pair of earrings, or bag of hummus and celery. The idea is to remember the importance of celebrating your friends, even in a small way. 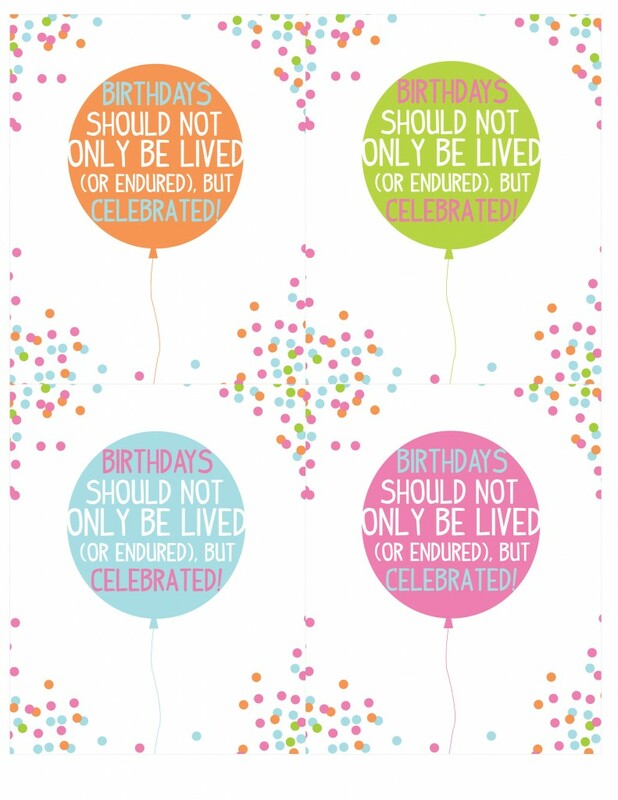 I’ve got the printables in 4 different colors. It’s a super easy gift idea, as I mentioned, running by a dollar store, or keeping a helium tank (use a coupon at craft stores) and balloons on hand at home! You can attach the balloon to a treat, or a simple paper weight. Promise, you will bring a smile to your friends face with this simple gift idea. 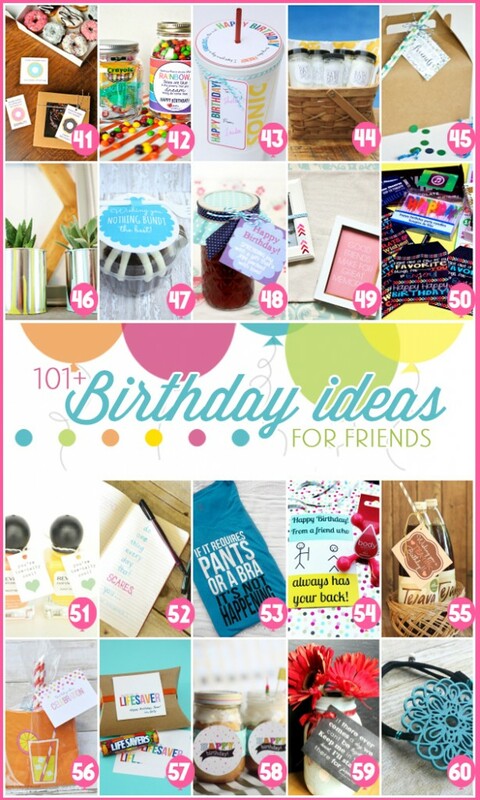 Now, check out all of the other fabulous ideas from my friends!!! Follow Capturing Joy with Kristen’s board Birthday Gift Ideas on Pinterest. Make sure you follow along on the rest of the Birthday Celebration Week, click on the image below to see whats happening all week!